No matter what you’re cooking, everything that’s prepared in your kitchen produces smoke, heat, and grease vapors. Regardless of what you may hear, there’s no real way to completely prevent kitchen fires from occurring. However, the resulting damage of any fire always depends on the quality of services that your cleaning provider performs. When you turn to Patriot Chimney, you never need to worry. You can count on our exhaust cleaning professionals to recommend proper cleaning frequencies and use specialized tools to measure the level of flammable residue in your systems. We can then report back to you with information regarding conditions that may compromise the safe operation of the kitchen exhaust system in your facility. Our team of extensively trained technicians clean your entire system and even document our services with photographic evidence to ensure that your exhaust system is properly maintained. 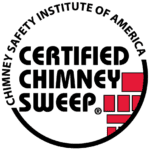 By trusting the professional exhaust system technicians at Patriot Chimney, you are ensuring that your system is maintained to mitigate the risk of fire in your facility, and reduce the severity of damage should a kitchen fire occur.